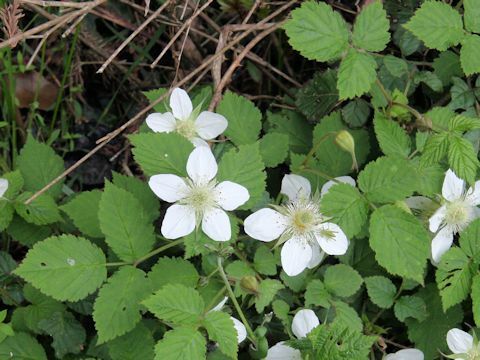 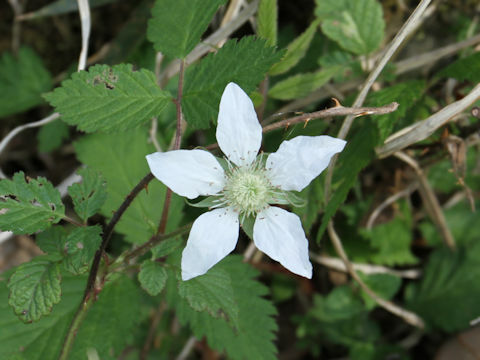 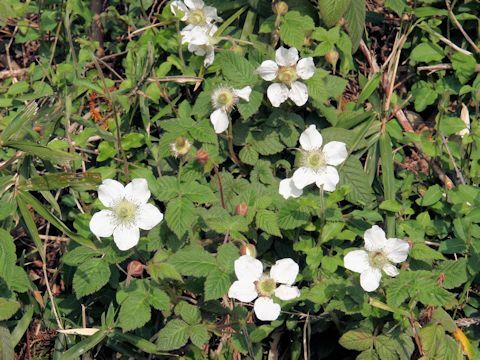 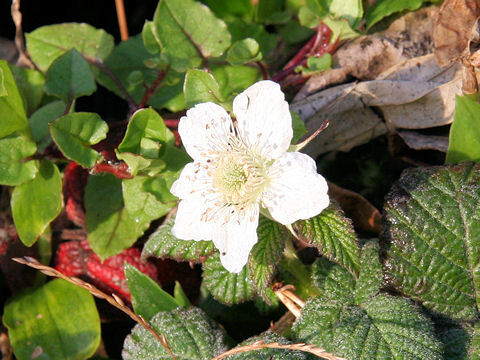 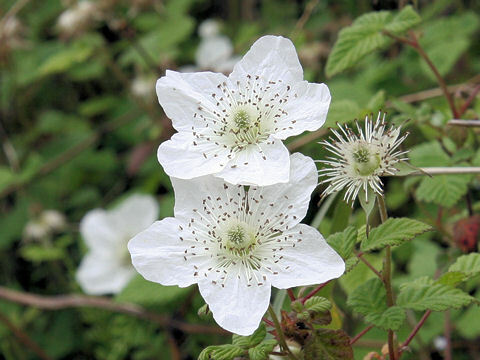 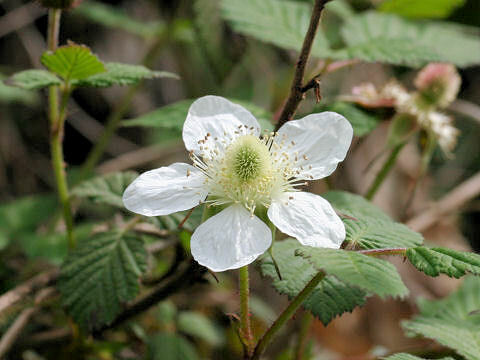 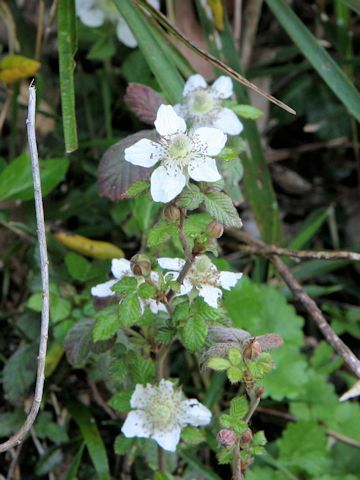 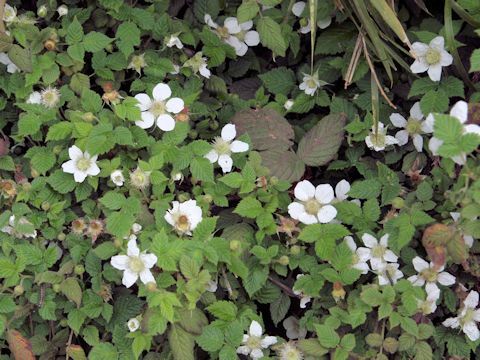 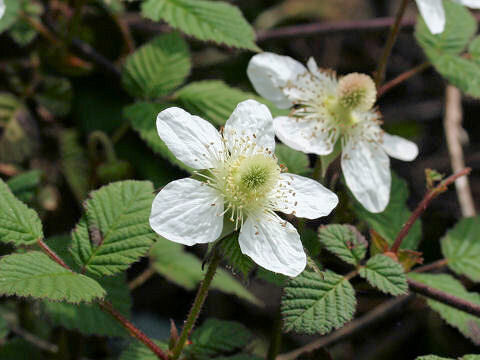 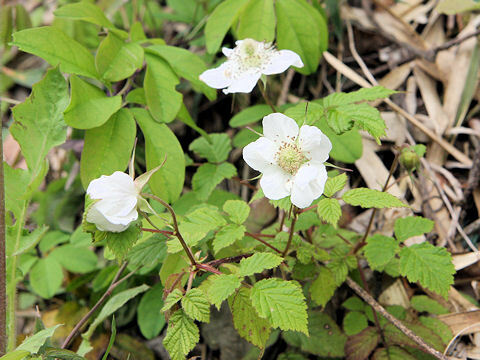 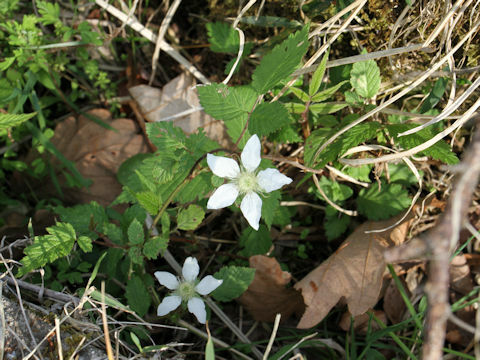 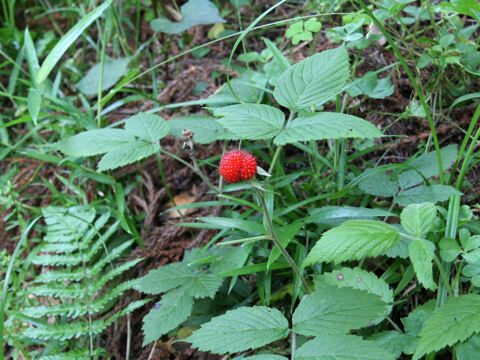 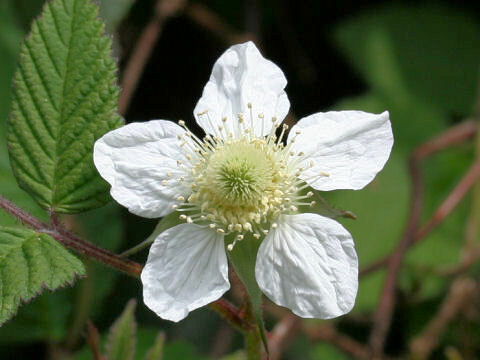 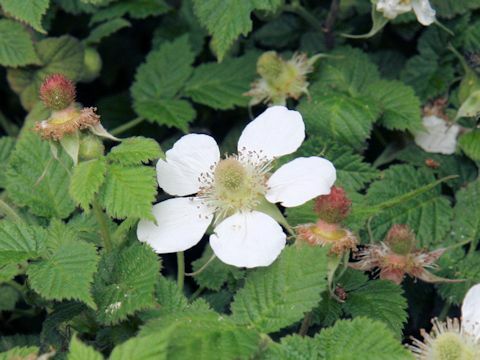 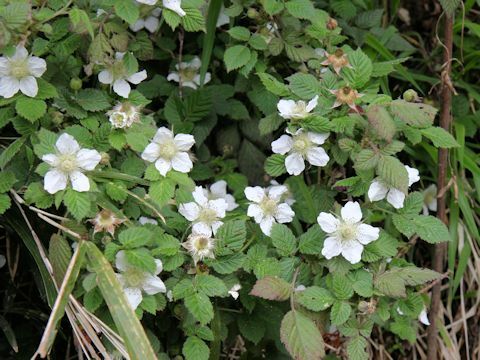 "Kusa-ichigo" (Rubus hirsutus) belongs to the Rosaceae (the Rose family). 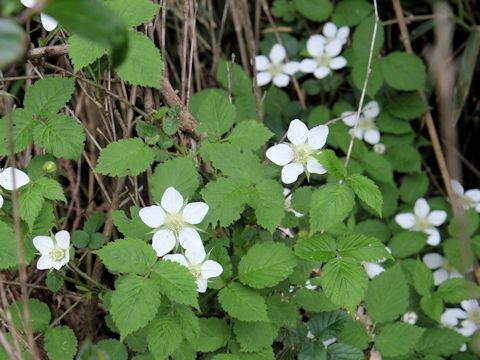 It is a semi-evergreen shrub that is distributed southward from Iwate prefecture of Honshu to Shikoku, Kyushu of Japan, as well as the Korean Peninsula and China. 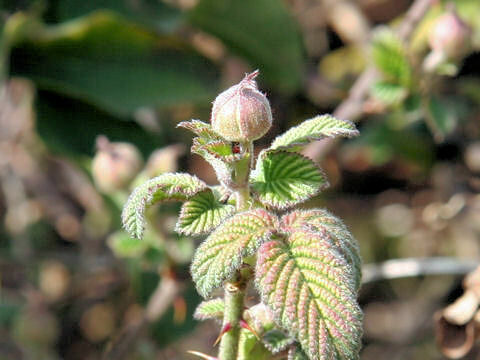 The leaves are imparipinnate, and defoliate in cold region. 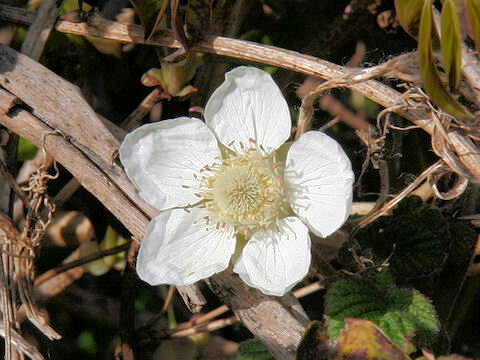 The new stems are borne, and the white four-petaled flowers come in April. 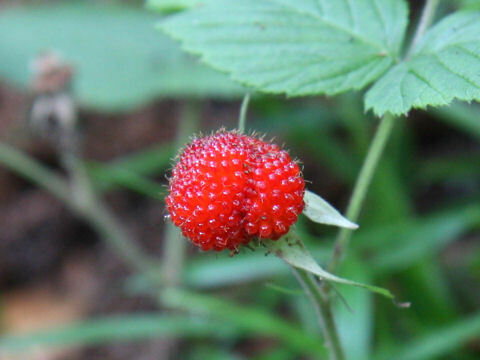 The fruits ripen red in late May to early June and edible.